High Security Swing Gate Entrance Control Turnstile By HIPHEN SOLUTIONS SERVICES LTD. 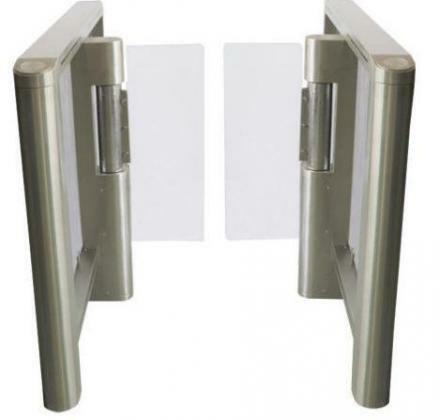 The sensor gate is mainly installed in entrance and exit of shopping mall which has a large flow rate; it is most popular in supermarket. 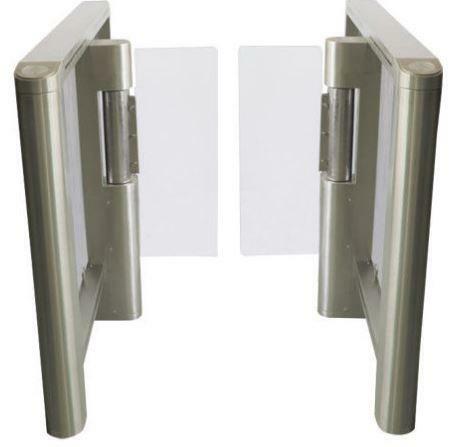 The sensor door gate barriers are designed to work in a normally closed mode and retract inside the pedestal, normally free exit by sensors, and entrance forbidden. Anti-tailgating, it allows only one person to pass for an authorized card presented. Anti-panic, when power off, the barrier will open for people to go through. Auto Alarm Swing Gate IR Sensor Barrier Turnstile By HIPHEN SOLUTIONS SERVICES LTD.
Hotel Full Automatic Swing Gate Barrier By HIPHEN SOLUTIONS SERVICES LTD.
RIFD IR Sensor Swing Gate Station Luggage Turnstile Barrier By HIPHEN SOLUTIONS SERVICES LTD.
Indoor Auto Swing Gate Access Control Turnstile By HIPHEN SOLUTIONS SERVICES LTD.
Full Automatic Swing Gate High Security Turnstile By HIPHEN SOLUTIONS SERVICES LTD.